Steps to prepare for a day out in the summer, especially the beach! If you are planning to go to the beach this week then don’t forget your sunscreen! Even if you love a tan you need to take care of your skin preventing sun cancer in the future or just simply avoiding getting sunburnt! The routine is simple and it will save you hours of pain after your lovely day out. The products I use and suggest before heading out for a nice day to the beach or simply just a day out in the sun during the upcoming summer is sunscreen for the face, sunscreen for the body, an after sun spray and just cream. Step 1. Clean your face with your regular face wash. Dry your face and put on lotion for the face. After your usual routine put on a sunscreen especially for your face. I suggest the one from Nature Republic UV Lock Flower . It is scent free so it doesn’t have the usual strong scent of sunscreen when you apply it to your face! This sunscreen is especially for the face with an SPF 50+. On a normal sunny day you do not need such a high SPF but if you are planning to go to the beach it is recommended. I personally have sensitive skin but it doesn’t irritate my skin at all! Step 2. Apply your daily lotion or cream on your body to keep it hydrated especially from the sun! Then apply a sunscreen for your body. I suggest Nivea Sun Spray Hydrant. It has a 30 SPF and has a protection against both UVA and UVB rays. I personally like it as sprays are always nicer and more refreshing on the body with applied on. It makes the whole process easily to use. 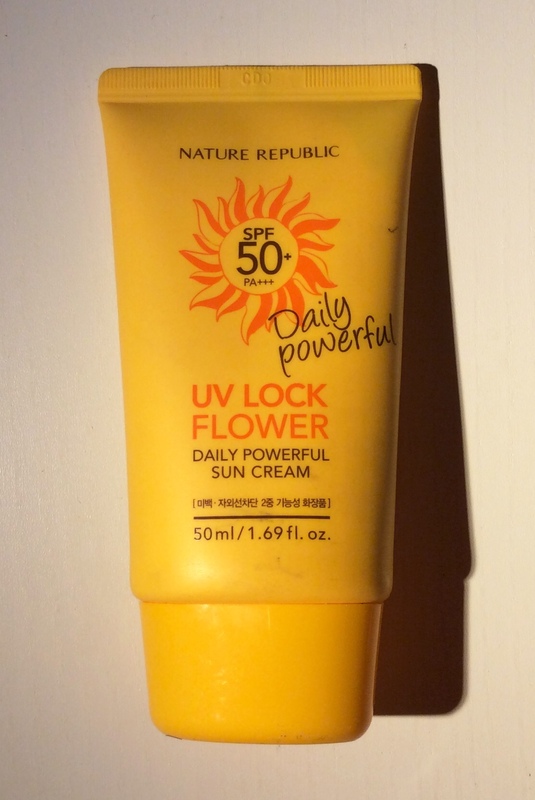 This sunscreen does have a regular scent nevertheless it isn’t too strong and on the plus side it is water resistant! I like it! P.S. 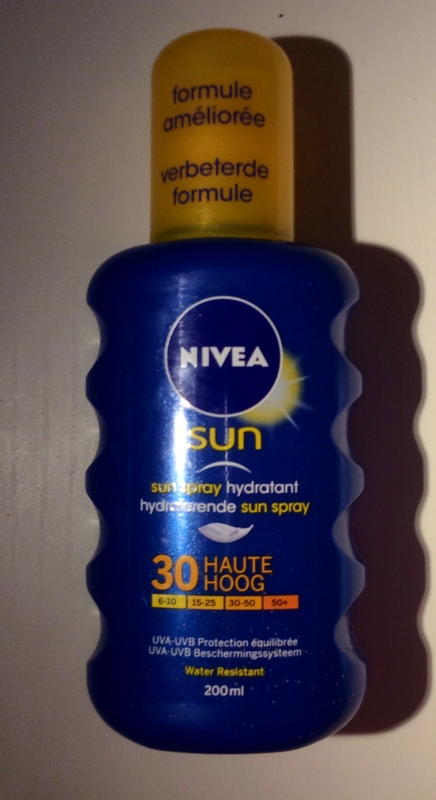 If you are going out on a long day to the beach you should bring the bottle with you and reapply as the hours pass to ensure you do not get burnt and try to apply it twenty to thirty minutes before heading out to the sun. Step 3. After a nice day out or an enjoyable day out in the beach you should not forget to use a after sun spray! 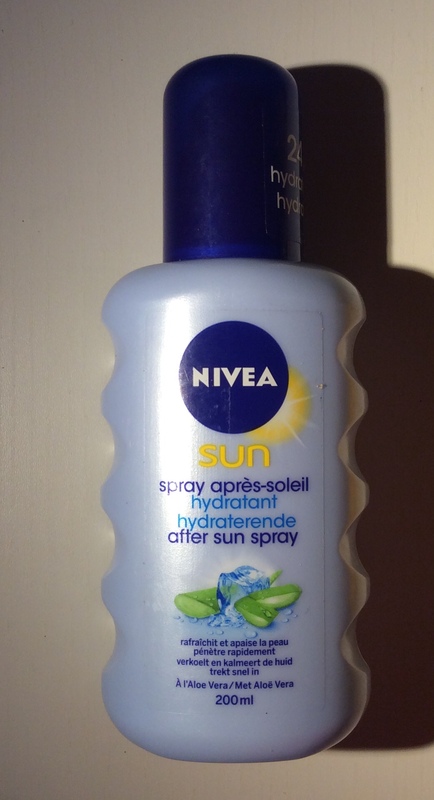 I use Nivea After Sun Spray. It hyrdrates your skin with aloe vera. Aloe vera is perfect for not only rehydrating the body but it helps cure redness from the sun as well as stop itchiness.